The range of hotel accommodation available in Moscow is enormous, from exceptionally luxurious 5-star properties to the most basic Soviet-era hostelries. Finding the right accommodation can be a real challenge for those who don't know the city, especially as prices often bear little relation to quality. Fortunately, at Moscow-Hotels.Net we have over a decade of experience matching Moscow hotels to clients' needs and budgets. You can search our Moscow hotel recommendations by category or location below, or simply choose from one of our all-time favorite hotels. These are the Moscow hotels we recommend time and again to clients for their combination of quality, value, and local character. For a guaranteed successful stay in Moscow, choose one of our all-time favorite Moscow hotels. Among Moscow's most famous hotels, with a superb central location just steps from Red Square and the Bolshoi Theatre, the beautiful Metropol Hotel is an Art Nouveau masterpiece inside and out, offering exquisite traditional luxury at surprisingly reasonable rates. This small combines individual charm with a full complement of 4-star amenities. Its discrete fairytale theme and exotic winter-garden lobby are great for kids, while highly professional staff and a superb central location will be equally appreciated by all travelers. For no-frills modern accommodation, all standard amenities, friendly service and easy access to the downtown, few Moscow hotels are as consistently highly rated as the Bega. Its location next to the Central Hippodrome also provides a unique atmosphere. 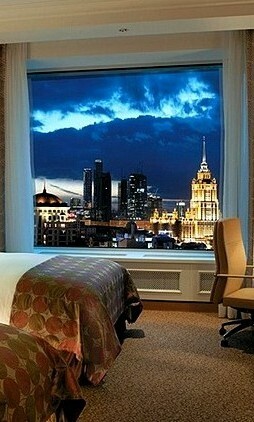 Unsure where to stay in Moscow? As the number of hotels in Moscow grows year after year, the range and variety of available accommodation can make it hard to choose, especially for newcomers to the city. To give you a helping hand, our team of travel experts has selected their top hotels in the categories below. If work brings you to Moscow, you'll want a hotel that offers a full range of business support services, as well as a location convenient for the city's main commercial destinations. To ensure that doing business in Moscow won't break the bank, we've picked the hotels in all classes that will do the most to make your business trip productive and hassle-free. Moscow's has a remarkably rich artistic and architectural heritage, uniquely melding Asian and European tastes and traditions. This is reflected and celebrated in the interiors of these hotels, designed to ensure a stylish stay. Looking for self-catering accommodation? In Moscow on an extended stay? Or travelling in a small group on a tight budget? Moscow has a variety of apartment hotels ranging from luxury all-suite properties to real low-cost options. Moscow has become renowned for ostentatious wealth and luxury in the last two decades, and this ethos has extended to the hotel market, where the venerable grand hotels of the pre-Revolutionary period have been joined by a handful of exceptionally opulent modern properties with state-of-the-art facilities and services to match the world's finest five-star superior hotels. For those with the budget to afford them, Moscow can offer truly exquisite accommodations. 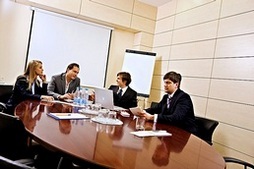 Find hotels in Moscow with international standard meeting and event facilities. If you're planning a simple business meeting, a conference or even a wedding in Moscow, Moscow-Hotels.Net can recommend the best hotel venues. If you're travelling with younger children, you'll want to be sure that your hotel is happy to welcome them, and has all the necessary facilities and conveniences to make your trip enjoyable for all the family. Moscow hotels have long been notorious for sky-high prices due to demand that long outpaced the scant stock of rooms in the post-Soviet era. While availability problems have largely been rectified, hotel prices remain on average relatively high by European standards. However, with a little effort (and our assistance) it is possible to find quality low-cost accommodation in Moscow. From former Imperial palaces to the grand hotels of the belle époque to the monumental creations of the Stalin era, Moscow has a number of hotels that can boast their own rich history, as well as a uniquely evocative atmosphere. An increasing number of international hotel brands are now represented in Moscow, and for many travelers they offer an extra level of security and assurance in a strange city. Explore the international hotel chains available in Moscow. The city of Moscow covers over 2 500 square kilometers of territory. Whether you're traveling to the city for business or pleasure, finding a hotel in the right area can be vital to the success of your visit. Find hotels near Moscow's top sights, major transport terminals, and most popular business destinations. Whether you're taking the express to St. Petersburg or about to embark on a Trans-Siberian odyssey, these hotels are within comfortable walking distance of Moscow's mainline railway stations and will help ensure you catch your train on time. 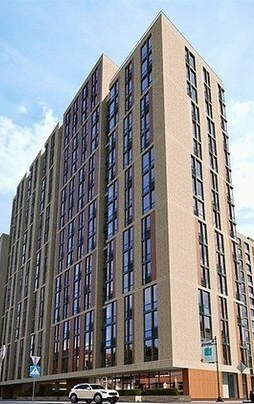 You can also choose hotels convenient for the Aeroexpress rail links to Moscow's international airports. Find a hotel within a stone's throw of the walls of the Kremlin, site of the medieval city of Muscovy, centre of state power, and Moscow's most popular visitor attraction, with magnificent cathedrals and the world-famous Armory Museum. Some of these hotels also boast stunning Kremlin views. Moscow's Bolshoi Theatre is one of the world's great opera houses, famed for its muscular ballet style and magnificent 19th century building. A hotel near the Bolshoi will let you attend spectacular performances in comfort and style, and ensure you get to the theatre in good time. Following the medieval borders of Moscow, the picturesque Boulevard Ring is a leafy broken circle that still marks the real heart of the city, and encompasses nearly all the best in downtown sightseeing, dining and entertainment that Moscow has to offer. More and more national and international exhibitions and trade events are being held at Moscow's major exhibition centers. We've selected hotels with easy access to Moscow's Expocentre and Crocus Expo that also offers reasonably priced accommodation of reliable quality. Ulitsa Arbat is one of Moscow's most famous streets. 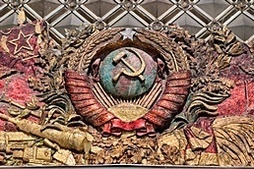 In Pushkin's time it was the most fashionable address for Moscow's beau monde, while in the 1960s it became the headquarters of Soviet Bohemia. Now it is a lively pedestrian zone, with a street market and numerous open-air cafes. For transit passengers and others who need to be close to Moscow's international airports, we've chosen the best hotels with fast and easy access to Domodedovo, Sheremetyevo and Vnukovo. These include lesser know hotels in the countryside a short drive from airports, offering a more peaceful and personalized experience for transit passengers. Ararat Park Hyatt Hotel Sumptuous accommodation with contemporary style, superbly situated near the Bolshoi Theatre. Baltschug Kempinski Hotel Across the river from the Kremlin, the Baltschug boasts stunning views and old-world elegance. Crowne Plaza Moscow World Trade Centre Hotel Well equipped rooms and superior MICE facilities in the heart of Moscow's commercial district. Golden Apple Hotel Quirky boutique hotel in a beautiful 19th century mansion just off the Boulevard Ring. Golden Ring Hotel A large, reasonably priced deluxe hotel in a towerblock at the west end of Ulitsa Arbat. Hilton Moscow Leningradskaya An elegantly refurbished luxury hotel in one of Stalin's Seven Sisters, next to Leningrad Station. Lotte Hotel Superior 5-star hotel on the Garden Ring boasting some of Moscow's largest guest rooms. Mamaison Pokrovka All-Suites Hotel Modern all-suite design hotel in a recently revitalized area of Mosocow's downtown. Marriott Grand Hotel Located on Moscow's main thoroughfare, the Marriott Grand offers reliable international luxury. Marriott Royal Aurora Hotel Marriott's Moscow flagship, the Royal Aurora boasts a prime location near the Bolshoi Theatre. Metropol Hotel Arguably Moscow's most beautiful hotel, the Metropol offers a taste of Russia's Belle Epoque. Moscow Country Club Luxury suburban country club and conferencing hotel. 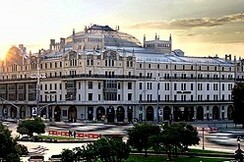 National Hotel Located opposite the Kremlin walls, the National combines a rich history with modern comforts. Peter I Hotel Modern deluxe hotel on a historic side street near Red Square and the Bolshoi Theatre. President Hotel Government-run hotel offering accommodation fit for a president in the heart of Moscow. Radisson Royal Hotel Formerly the Hotel Ukraina, this magnificent Stalinist skyscraper is now a superior 5-star hotel. Radisson Slavyanskaya Hotel & Business Centre Moscow's first Western luxury hotel, the Slavyanskaya remains a quality deluxe business hotel. Renaissance Moscow Monarch Centre Hotel The Monarch Centre is attractively fitted and superbly equipped for business and leisure. Ritz-Carlton Hotel Possibly Moscow's most luxurious hotel, the Ritz-Carlton is located a few steps from the Kremlin. Savoy Hotel A small luxury hotel with a rich history and elegant classical interiors, close to the Bolshoi Theatre. Sheraton Palace Hotel Recently renovated, the Sheraton Palace is a modern luxury hotel convenient for Belarus Station. Swissotel Krasnye Holmy A striking skyscraper with cutting-edge design, the Swissotel is Moscow's most modern 5-star. 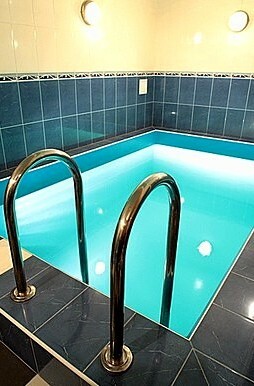 Aerostar Hotel A superior modern business hotel located to the north-west of downtown Moscow. Airhotel Domodedovo Reasonable superior and standard accommodation right next to Domodedovo Airport. Akvarel Hotel Boasting a prime central location, the Akvarel is a small residential-style hotel. Alrosa Na Kazachyem Hotel Attractive small hotel to the south of the Moskva River, offering 16 elegant and spacious rooms. Aquamarine Hotel Highly rated modern deluxe hotel in the historic Zamoskvorechye district of the southern centre. Art Hotel German-run superior hotel with a parkland setting in north Moscow, best accessed by car. 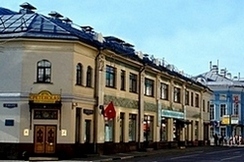 Assambleya Nikitskaya Hotel A short walk from the Kremlin, the Assambleya Nikitskaya offers cozy modern accommodation. Atlanta Sheremetyevo Hotel An appealing small hotel located in a dacha village 10 minutes' drive from Sheremetyevo. Atlas Park-Hotel Suburban deluxe hotel near Domodedovo Airport. Azimut Moscow Olympic Hotel Formerly the Renaissance Olympic, this superior business hotel offers stylish contemporary design. Best Western Vega Hotel & Convention Center Part of the 1980s Izmailovo Hotel Complex, rebranded as a superior conferencing hotel. Borodino Hotel A modern superior business hotel close to Sokolniki Park and Exhibition Centre. Brighton Hotel Elegant small hotel with Spa and superior dining located just north of downtown Moscow. Budapest Hotel Historic hotel with a homely atmosphere and excellent location close to the Bolshoi Theatre. D' Hotel A small modern business hotel located close to VDNKh in the north of Moscow. Heliopark Empire Hotel Located close to Belarus Station, this small modern hotel offers cozy accommodation. Historical Hotel Sovietsky Accommodating foreign dignitaries in the late Soviet period, this grand hotel is a historic artifact. Holiday Inn Moscow Lesnaya Hotel Close to the train for Sheremetyevo, this Holiday Inn offers comfortable rooms and superior service. Holiday Inn Moscow Sokolniki Hotel Large superior hotel with excellent transport links, close to Sokolniki Park and Exhibition Centre. Holiday Inn Moscow Suschevsky Hotel Modern superior business hotel located just north of Moscow's historic downtown area. Holiday Inn Moscow Vinogradovo Hotel Suburban conferencing hotel with superior leisure facilities in a parkland setting north of Moscow. Holiday Inn Simonovsky Hotel Attractive modern hotel located to the south-east of the centre, next to two historic monasteries. Iris Congress Hotel Good value superior accommodation in northern Moscow with excellent business facilities. Izmailovo Alfa Hotel Large superior hotel with extensive conferencing facilities and well equipped guest rooms. Izmailovo Delta Hotel Part of the Izmailovo complex, with good range of services and fast access to the centre. Kadashevskaya Hotel Small design hotel with a great location a short walk from the Kremlin and the Tretyakov Gallery. Katerina City Hotel Scandinavian style and hospitality at a superb central location by the Moskva River. Katerina Park Hotel Modern business hotel in southern Moscow. Kebur Palace Hotel Elegant boutique hotel offering lavish Georgian hospitality in Moscow's downtown. Korston Hotel Vegas-style hotel and mall with superior dining and conferencing facilities. Mandarin Hotel Close to Leningrad Station, this small hotel offers superior accommodation and basic facilities. Marco Polo Presnja Hotel Cozy small hotel located near the Patriarch's Pond in one of Moscow's smartest districts. Marriott Courtyard Moscow City Center Hotel Reliable Marriott quality and superior services at a prime location five minutes from the Kremlin. Marriott Tverskaya Hotel Popular business hotel located on Moscow's main central avenue near Belarus Station. Medea Hotel Attractive small hotel with spacious rooms, situated a short walk from the Tretyakov Gallery. Milan Hotel Popular superior hotel with unexpectedly stylish interiors and comprehensive facilities. Novotel Moscow Centre Hotel Modern superior hotel conveniently located on top of a metro station. Novotel Moscow Sheremetyevo Airport Hotel The only hotel for visa-free transit, Offering superior rooms and services next to Sheremetyevo. Oksana Hotel Superior hotel located near VVTs Expo Ground and aimed at business travelers. Park Inn SADU Hotel Comfortable superior hotel with basic facilities but a great location in the Zamoskvorechye district. Peking Hotel A beautiful Stalin-era building on the Garden Ring, with elegant rooms and good dining options. Proton Business Hotel Plain superior hotel some distance from the centre, but reasonably close to Moscow Expocentre. Sretenskaya Hotel Charming, family-friendly small hotel in a historic building in an attractive downtown area. Tatiana Hotel Business-oriented deluxe hotel with extensive business facilities close to Pavelets Station. Volynskoe Congress Park Hotel Deluxe park hotel close to central Moscow. Aeropolis Hotel Soviet-era standard hotel offering reasonably well equipped accommodation north of the centre. Akademicheskaya Hotel Large standard hotel with reasonable business facilities close to the center. Alliance Ulanskaya Hotel Basic standard accommodation at reasonable prices considering the city centre location. Altay Hotel Large and reasonably attractive budget hotel in northern Moscow. Aquarium Hotel Modern standard hotel in the grounds of Crocus Expo by the Moskva River in the north of the city. Arbat Hotel Run by the Presidential Administration, this cozy standard hotel has a great location off Arbat. Arbat House Hotel Small standard hotel close to the Kremlin and Ulitsa Arbat, offering good-value accommodation. AST-Hof Hotel Modern mid-range hotel offering international-standard accommodation in the western suburbs. Bega Hotel Popular, modern 3-star hotel with good facilities next to Moscow's Central Hippodrome. 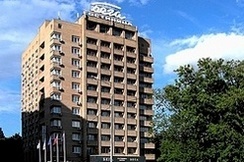 Belgrad Hotel Aging tourist-class hotel with low prices and a good central location to recommend it. Cosmos Hotel Huge Soviet-era hotel by VDNKh, with nearly 2,000 guest rooms and comprehensive facilities. Derzhavnaya Hotel Unassuming standard hotel offering comfortable accommodation close to VDNKh. Eridan-1 Hotel Inexpensive apart-hotel with good transport links in southern Moscow. Ibis Moscow Paveletskaya Hotel Moscow's first Ibis, providing inexpensive lodging close to the Domodedovo Airport rail link. Izmailovo Beta Hotel Offers a variety of accommodation options, among the cheapest at the Izmailovo Complex. Izmailovo Gamma Hotel Standard Hotel sharing business and leisure facilities with neighboring 4-star property. Los Hotel Small conferencing hotel in northern Moscow. Maxima Irbis Hotel High quality standard business hotel with superior service and reasonably convenient location. Maxima Panorama Hotel New low-cost business hotel with excellent transport links to central Moscow. Maxima Slavia Hotel Reasonably priced modern 3-star business hotel in the north of Moscow. Maxima Zarya Hotel Attractive low-cost accommodation and extensive amenities close to the metro in the north. Mitino Hotel Modern standard hotel near Crocus Expo Centre. Molodyozhny Hotel Low-cost three-star hotel in northern Moscow. Okhotnik Hotel Highly rated standard hotel with stylish guest rooms and good facilities in the far north of Moscow. Orekhovo Hotel Standard apartment accommodation close to Domodedovo Airport. Ozerkovskaya Hotel Small, simple standard hotel with a prime central location close to Pavelets Railway Station. 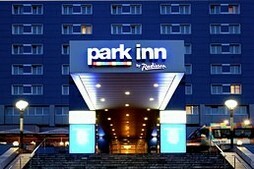 Park Inn Sheremetyevo Airport Hotel Stylish and well-equipped standard accommodation next to Sheremetyevo Airport. Planernoe Hotel Standard suburban conferencing hotel close to Sheremetyevo International Airport. Rus Hotel Modern standard hotel near Domodedovo and Vnukovo Airports. Slavyanka Hotel Hotel with links to the Russian Army, offering a range of rooms including genuine budget options. Soyuz Hotel Well-equipped standard hotel in the far north of Moscow, close to Crocus Expo and Sheremetyevo. Sputnik Hotel Basic business hotel with a great Indian Restaurant and easy access to the center. Tsaritsyno Hotel Budget apart-hotel in the south of Moscow, close to Tsaritsyno Park and Palace. Universitetskaya Hotel Reasonable budget hotel near Moscow State University. Volga Apart-Hotel Good quality residential hotel with modern apartments not far from "Three Stations Square". Zolotoy Kolos Hotel Bargain accommodation and a good range of services in the northern suburbs.